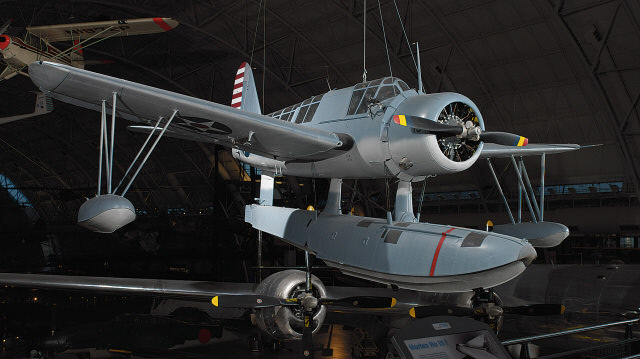 The Kingfisher was the U.S. Navy's primary ship-based scout and observation aircraft during World War II. 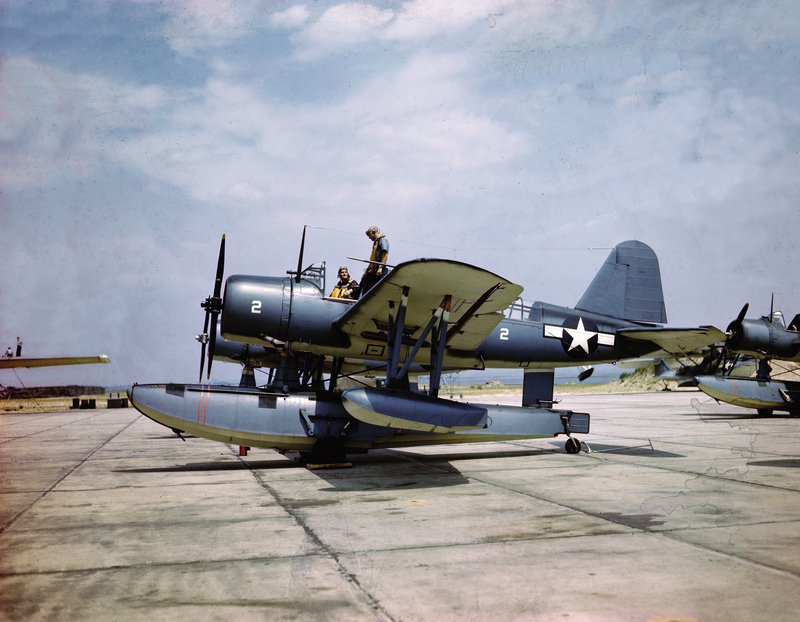 The Kingfisher was the U.S. Navy's primary ship-based, scout and observation aircraft during World War II. Revolutionary spot welding techniques gave it a smooth, non-buckling fuselage structure. Deflector plate flaps that hung from the wing's trailing edge and spoiler-augmented ailerons functioned like extra flaps to allow slower landing speeds. 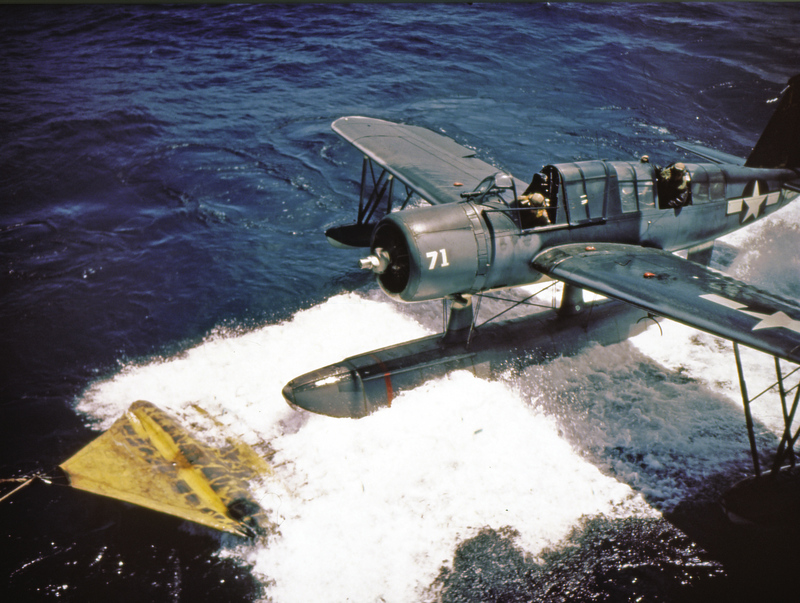 Most OS2Us operated in the Pacific, where they rescued many downed airmen, including World War I ace Eddie Rickenbacker and the crew of his B-17 Flying Fortress. 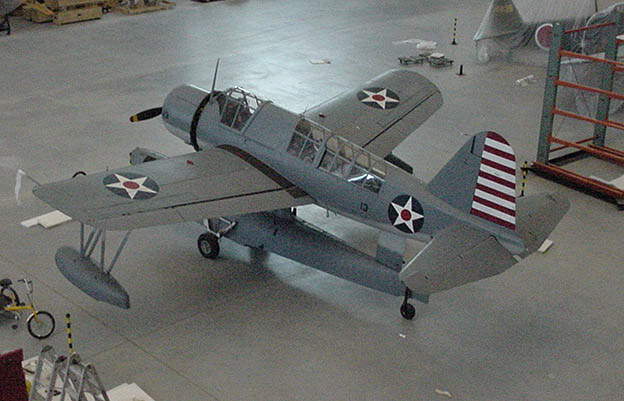 In March 1942, this airplane was assigned to the battleship USS Indiana. 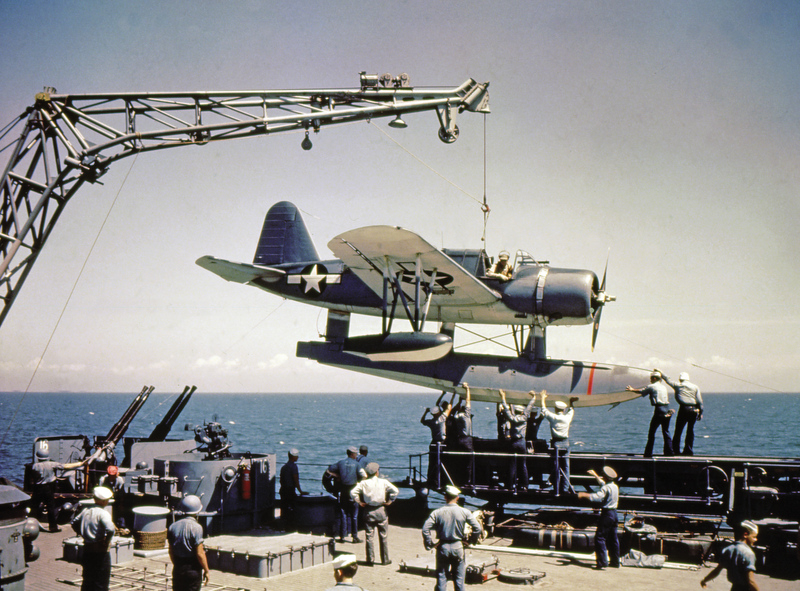 It later underwent a six-month overhaul in California, returned to Pearl Harbor, and rejoined the Indiana in March 1944. Lt. j.g. Rollin M. Batten Jr. was awarded the Navy Cross for making a daring rescue in this airplane under heavy enemy fire on July 4, 1944. In October, the Navy transferred the OS2U to the NAM and it was trucked to what is now the Paul E. Garber Facility in Suitland, Maryland. The Museum lent the aircraft to the USS Massachusetts Memorial at Battleship Cove, Massachusetts, in July 1968 and the Kingfisher returned to the Garber Facility in December 1980. A full-up restoration began in November 1983 and was completed in April 1988. Many components were discovered missing and proved difficult to find during the project. 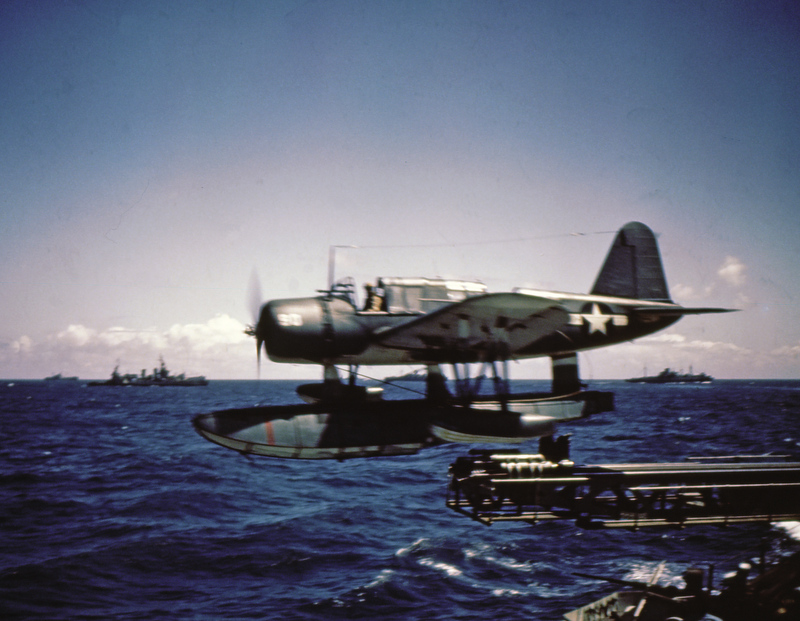 Edward Good of St. Petersburg, Florida, donated the main float and beaching gear and Doan Helicopters Inc., of South Daytona Beach, Florida, provided the wing floats. 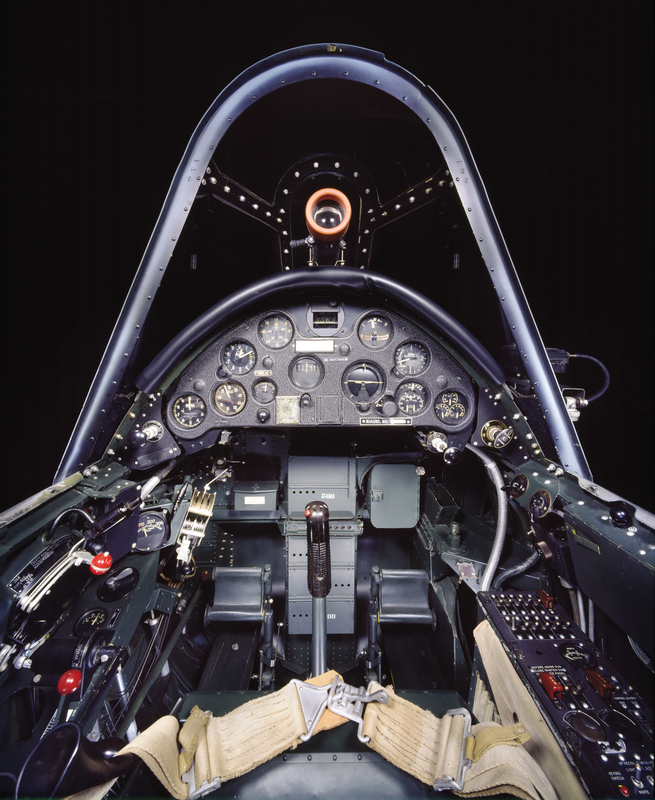 Two-seat monoplane, deflector plate flaps hung from the trailing edge of the wing, ailerons drooped at low airspeeds to function like extra flaps, spoilers.